If you have your eyes set on building a new home to live in, it’s likely your finances are going to require that you get a loan for the build. Not too many individuals can afford to pay for the construction of a new house in cash. The majority of homebuilders will need to seek out qualification for a home construction loan. These loans can sometimes be quite complex and require that you have the right qualifications in order before approval. Today, we’re going to share with you everything you need to know about applying for a home construction loan. Before we dive into the juicy stuff, it’s important to step back and take a look at a home construction loan from the point of the lender. The mortgage lender will be putting up their own money to pay for the construction of a new home. They’re relying on the fact that the new home will be worth equal to or more than the amount of money they’re lending to the borrower for the project. In the event the house turns out to be worth less than the amount of money the bank loaned, it’s possible for the bank to lose money. This could happen if you were to default on your loan in the future and the bank is unable to sell your new home for any sort of profit that will cover their investment. For this reason, your mortgage lender must be very specific about who they lend money to and what home builder works in the process. Banks know that when a qualified builder is involved in the home construction project, the home typically turns out with the intended value they projected. For this reason, the banks will typically only approve home construction loans when there is a licensed general contractor who is overseeing the project. They’ll look to ensure the contractor has a successful past history of constructing quality homes. If you want to be your own general contractor, it can be a bit difficult to seek approval without a strong track record. The bank is going to need to know the specs for your building project. They’re going to want to know every single detail of the house. This is everything from how high the ceiling is going to be in the dining room to the materials required to construct the bathroom. This is typically put together into what is known as a ‘blue book’ by your general contractor. This will allow the bank to submit the information to a qualified appraiser to have the potential home evaluated. You can expect to be responsible for submitting this building information when you fill out an online application or if you apply in person at the bank. Be sure to speak with your contractor ahead of time to ensure they have everything ready before you go to speak to your lender. Applying for a home construction loan can be a long and difficult process. 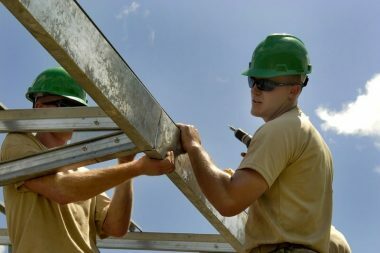 Talk to anyone who regularly works in the home construction field and they’ll tell you that things tend to take much longer than initially anticipated. Due to this fact, it’s important to keep a level-head and work with your mortgage lender to provide them with all the necessary information they need to make a decision of whether or not to finance your new home loan.